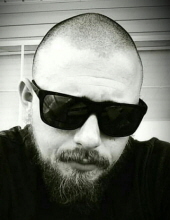 La Grange-Alex Jordan Hardison, 24, of La Grange, passed away Wednesday, November 14, 2018. Alex graduated from North Lenoir High School and attended Wayne Community College. Alex loved the outdoors and took every opportunity to be out in nature. Some of his happiest moments were spent fishing and hunting. He loved MMA and a good card game always piqued his interest. Alex was a loving and caring young man. He would bend over backward or give the shirt off his back to help those in need. Alex will always be remembered for his love of a good practical joke whether done to him or by him. He always found great pleasure in seeing others smile. A memorial service to celebrate Alex’s life will be held Monday, November 19, 2018 at 7 p.m. at Rouse Funeral Home. A time of visitation will follow the memorial service. Alex is survived by his father, William Preston Hardison and wife, Ruth; mother, Robin Bryant; siblings, Tyler Minh Hardison, Paola Cast, Jesus Cast, Santiago Hidalgo, Mackenzie Grace Re and Cade Mario Re; grandparents, James & Ann Hardison, Mary & Donald Williams. Alex was preceded in death by his grandfather, Graham Lewis. Online condolences may be expressed at www.rousefh.com. Arrangements are entrusted to Rouse Funeral Home, La Grange. To send flowers or a remembrance gift to the family of Alex Jordan Hardison, please visit our Tribute Store. "Email Address" would like to share the life celebration of Alex Jordan Hardison. Click on the "link" to go to share a favorite memory or leave a condolence message for the family.